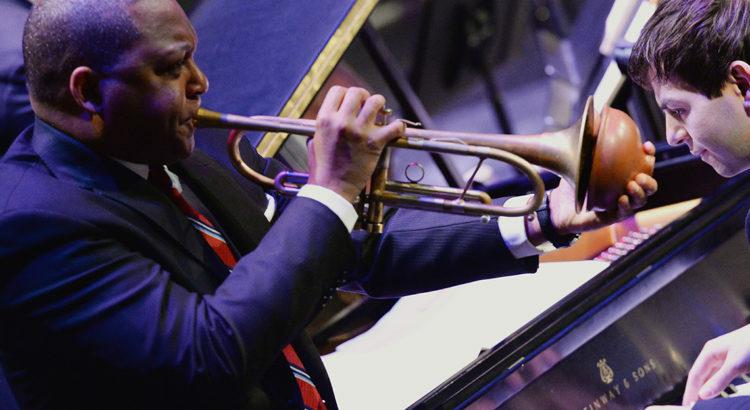 On Wednesday, November 28 at 7:30 pm, jazz legend Wynton Marsalis & the Jazz at Lincoln Center Orchestra will be performing at Hill Auditorium!! This is a University Musical Society event, so students may purchase discounted tickets online or at the League Ticket Office. If you are a fan of jazz, or just ready to get into the holiday spirit, this is a once in a lifetime that event you cannot miss. I have listened to recordings of Wynton Marsalis, and I cannot wait to see him perform live. He has won Grammy awards, the National Medal of Arts, the National Humanities Medal, and the Pulitzer Prize for Music, among many other impressive accomplishments, and this performance promises to be a virtuosic and engaging performance of holiday classics that will be a treat for all ages. See you at Hill Auditorium on November 28th!